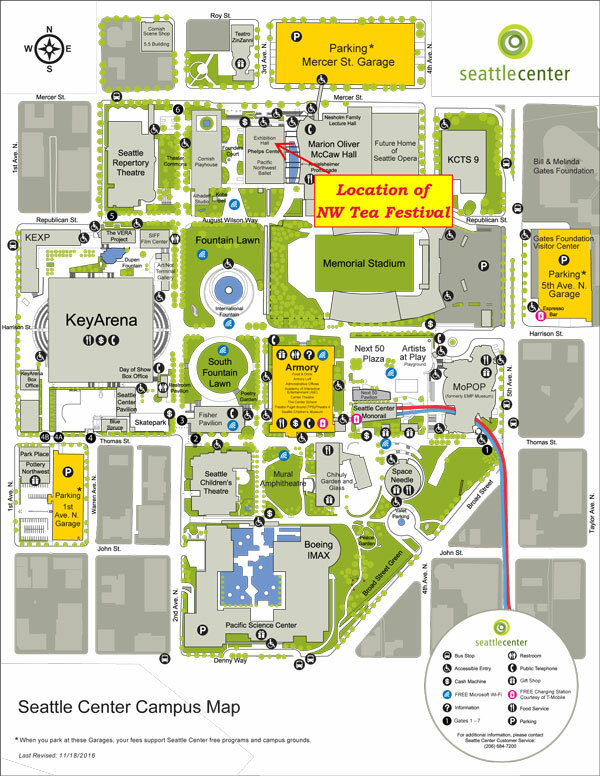 The festival will be held in the Exhibition Hall at Seattle Center, 301 Mercer St, Seattle WA 98109. The Exhibition Hall is between McCaw Hall and Cornish Playhouse with an entrance on Mercer St. Parking can be found in the Mercer Street Parking Garage across Mercer St..
Visit the Seattle Center website for travel instructions, or go to Google Maps. Click the image of the below map to download a copy of the map for printing.